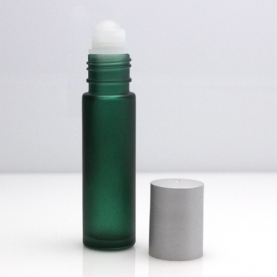 Green frosted glass roll on containers (0.35 oz) comes with housing, ball and cap. Great for making roll-on perfumes, or spot treatments for bug bites, headaches, etc. !